Blurb: In the summer of 1962, nothing could prepare Dr. Charles Campbell for his first meeting with new client, Marilyn Monroe. A reputable L.A. psychiatrist, he’s been hired by a studio executive to treat and subdue the star, no matter what it takes. 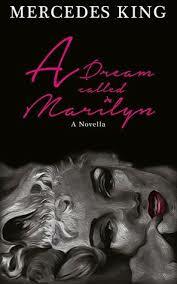 Although he’s been warned about Ms. Monroe’s unpredictability, she’s not what he expected. Gaining Marilyn’s trust means crossing doctor-patient boundaries, and trying to separate fact from Hollywood-fed-rumors proves destructive to both Charles’ career and his personal life. As Marilyn shares her secrets and threatens to go public with information that could destroy President Kennedy’s administration, Charles’ world turns upside-down. He sinks deeper into her troubles than he should, but Charles becomes determined to help her, even though it means endangering Marilyn’s life and risking his own. Review: If you have followed my blog for any time, you know that I am obsessed with JFK. Well, along with that obsession comes a side obsession with Marilyn Monroe, too. I’m just fascinated by what happened all those years ago and all the conspiracies that are out there. So when I was pitched this short novella, I immediately picked up on it. Novellas are not something that I am used to reading, so I didn’t quite know what to expect going into it. I figured some 170 odd pages would be easy to take on (pregnancy brain is at its finest in my life right now) and it was Marilyn, so….. But at the same time, I didn’t know how something could be packed into 170 short pages. But Ms. King makes it work. She takes a few characters and a few pages and just creates this really fun short novel. It really worked for me. I enjoyed it. I was totally entranced by Charles’ life. There’s so much going on with his personal life, and Marilyn definitely throws a wrench in the picture. And Marilyn is, well, Marilyn. Honestly, I enjoyed my first foray into the novella world. This was a really fun read and I would highly recommend it to anyone!! 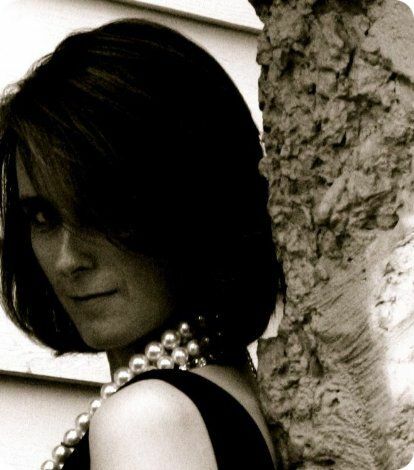 About the Author: A founding member of Sisters in Crime Columbus, Ohio (affectionately dubbed SiCCO), Mercedes King can be found elbow-deep in research, reading, or enjoying the local bike path. 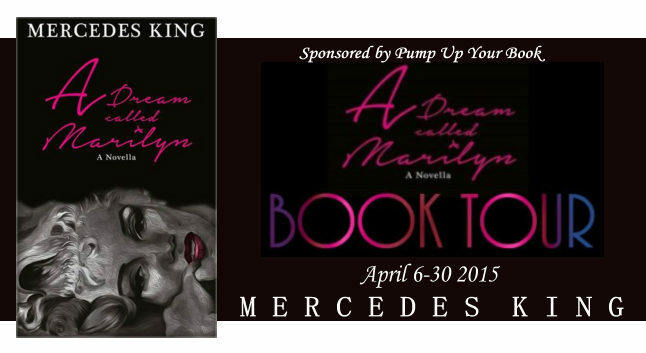 Combining her love of pop culture with history, she created A Dream Called Marilyn, a fictional take on the last weeks of Marilyn’s life. With an unquenchable thirst for a bygone era, she’s also written O! Jackie, a fictional take on Jackie Kennedy’s private life–and how she dealt with JFK’s affairs. Short story fans would enjoy The Kennedy Chronicles, a series featuring Jackie and Jack before the White House and before they were married. Visit Mercedes’ website at http://www.mercedesking.com to find out more. Tuesday, April 7 Book Review at Books Reviews ETC. Thank you so much for the review! Like you, I’m a fan / history-stalker of JFK, Marilyn, the works. Such a fascinating time period (and incredible to realize what they got away with back then). We’ll never know the definitive truth about what happened to Marilyn, but I do believe she was misunderstood and used by so many around her. Thanks again!